I have always heard about the coveted ‘pregnancy glow‘ and I have always hoped that I would be one of the lucky gals who obtained that pretty, light, glowing skin. Now I don’t mean to toot my own horn but I very, very rarely miss a morning or night washing my face. I enjoy taking care of my skin and seeing the benefits that good skincare provides. I guess I just sort of assumed that of course I’d get the pregnancy glow. Welllllll, I haven’t. I’ve got a lot of compliments during my pregnancy (thank you, everyone, iloveyou), but no one has ever said I have the ‘glow’. Shoot. However, I haven’t necessarily had bad, problem skin, either. Its kind of just been…normal? 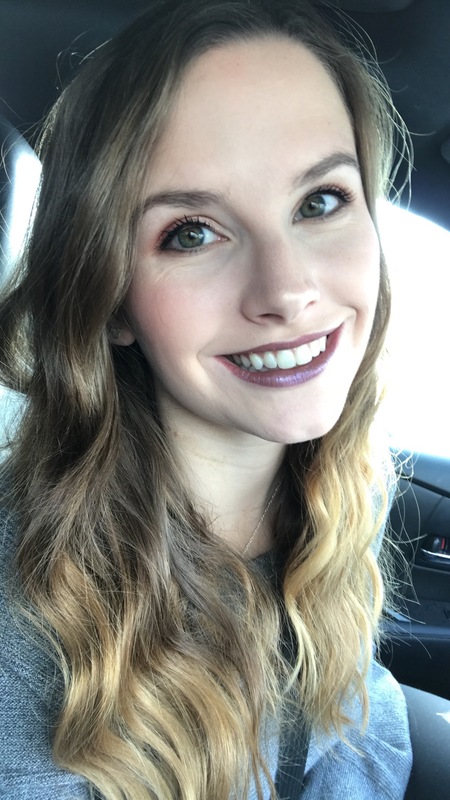 I get hormonal breakouts (acne along my jawline and chin) from time to time, but never anything to write home about. When I want it, I have to work for my ‘glow’ which essentially means I wear make up if I want to get flawless skin – post on that in the future. If my skin is bare, its fine – just not glowy, darn it. But hey, I still have a month and a half (give or take) until Little Man gets here — maybe its not too late for that glow to come on. Never stop believing, right? Ok, now onto what this post is really about. At night time, before I do anything else, I take my make up off. I have experimented with a lot of different make up removers and wipes, but right now the one I’m loving is the Up&Up Refreshing Wet Cleansing Towelettes from Target (www.target.com). This product is super affordable and surely not the best quality or face wipe I could spend my money on, but I’m glued to it right now. It takes my make up off quickly and…the SMELL of these wipes is currently one of my very favorite smells I’ve ever smelled (pregnancy does weird things to you). Maybe once I’m past being addicted to the smell I’ll try something else. (Also, I have false lashes on right now and oil-free is a MUST around your eyes when you have lashes on. So if I wear make up on my eyes (liner or shadow) I use a liquid, oil free remover that is also the Up&Up brand from Target – so far, no complaints). Next, (or first, if its morning) I cleanse my face. If I am in the shower, I’ll use my Clarisonic (get one for yourself, you’ll LOVE it at: www.clarisonic.com) with my cleanser on it. I used to use my Clarisonic a lot more often (3-4 times a week), but my skins a lot more sensitive since being pregnant, so I can’t use it as frequently without feeling like I’ve torn up my face. (FYI: If you use the Clarisonic or any other kind of machine like it, this also acts as your exfoliant – so don’t exfoliate, afterwards or you’ll overdo it and hurt your skins protective barrier.) I’m very paranoid about what I put on my skin since becoming pregnant. Some ingredients (salicylic acid, for example) are harmless on non-prego skin, but are NOT recommended for prego-skin. So I decided early on to stick with organic products for my skin while Little Man is cooking. 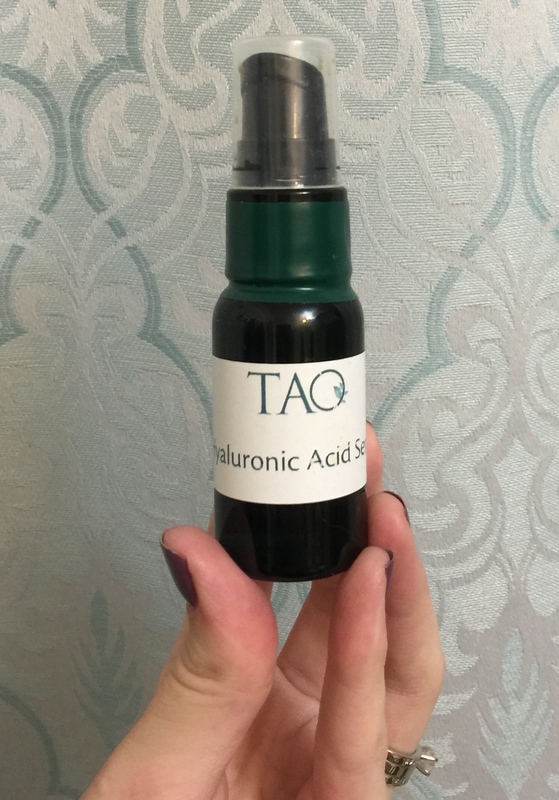 I was introduced to the organic skin care line, Tao (www.taoskincare.com), while at Esthetics school and have always really liked it and its relatively affordable. It is a professional line that has awesome benefits and provides the comfort of knowing you’re using organic material on your precious skin. I use two cleansers. My very favorite, and the cleanser I use first is Tao’s, Organic Green Tea Cleanser. This product is good for sensitive skin, mature skin, along with oily, dry or combination skin so you really can’t go wrong with it. 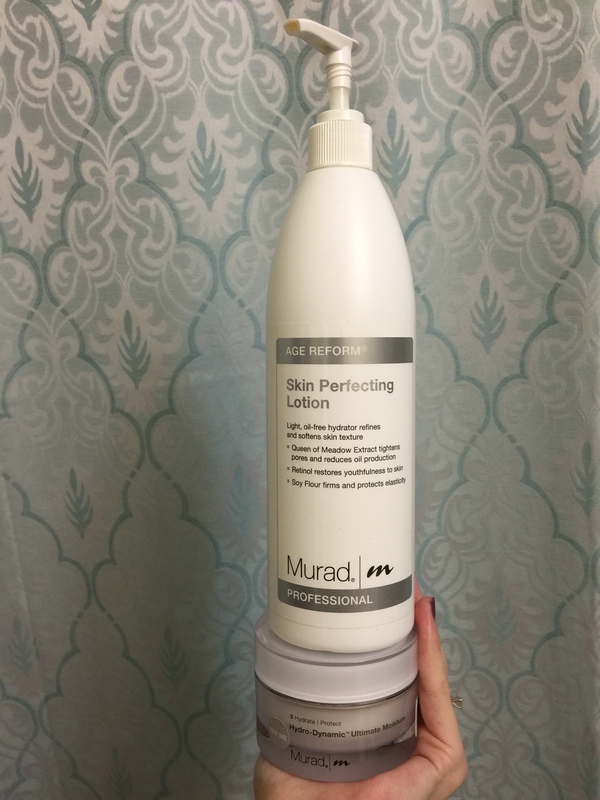 I love it because while its on your skin it feels soapy and so clean, but it doesn’t leave any residue on my skin. The second cleanser I use is Tao’s Alpha Hydroxy Cleanser. I don’t use this one every single day – sometimes it tends to sting my skin and I’m not always about that life. But regardless, its a good product I still recommend. This product is good for breakout prone skin (I like to really focus it on my hormonal breakout areas), aging/mature skin and dehydrated skin. Tip: The longer you rub cleansers into your skin, the deeper penetration you’ll have from the product – giving you a better treatment. After cleansing, if I haven’t used my Clarisonic, I exfoliate my face. For this, I have strictly been using Tao’s Radiant Face Scrub. I highly recommend this. This is a physical exfoliant so you can feel the beads in the product as they gently scratch away the dead skin and leave your skin so soft! I’m seriously in love with this stuff. This next step is sort of optional and probably random, but I feel like it really helps when I want my skin to regain some softness and moisture. With either a cotton ball or an esthetic wipe of some type, I put a little bit of 100% Extra Virgin Olive Oil on my face (not too much or I’m oily for quite a while). This step is also optional and I do it about every 3-5 days. I use facial masques for a little extra TLC. 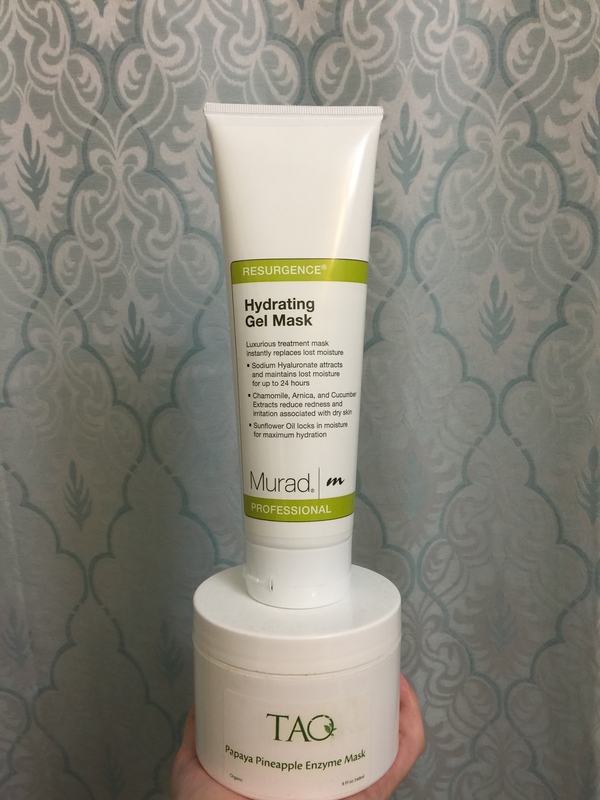 My very favorite face masque right now is from Murad (www.murad.com) (a medical line). The masque is from their Resurgence Line (the green line) and its called the Hydrating Gel Mask – unfortunately I can’t find it on their site right now. I don’t even have to rinse this masque off because I soak it up so quickly. I have very dry skin and it just eats this stuff up and leaves my skin looking a little more dewy and plump (a good kind of plump, promise). Another masque I use, if I’m up to a little bit of stinging on my skin is Tao’s Pineapple Papaya Enzyme Mask – and I can’t find it on their website either!! (bad luck, today!) This mask is an enzyme masque, so it is an exfoliant that breaks down the yucky stuff on your skin you don’t want. It is good for sensitive, dry, oily, mature or damaged skin. Both masques are gels that can soak into your skin if you leave them long enough (however I typically rinse the Tao Masque just so I can get the majority of the sting over with). If I used a masque, I reapply toner afterwards. Next is Toner. Toner is overlooked but so, so important. It balances your skins PH levels, shrinks pores, it moisturizes, protects and is refreshing. 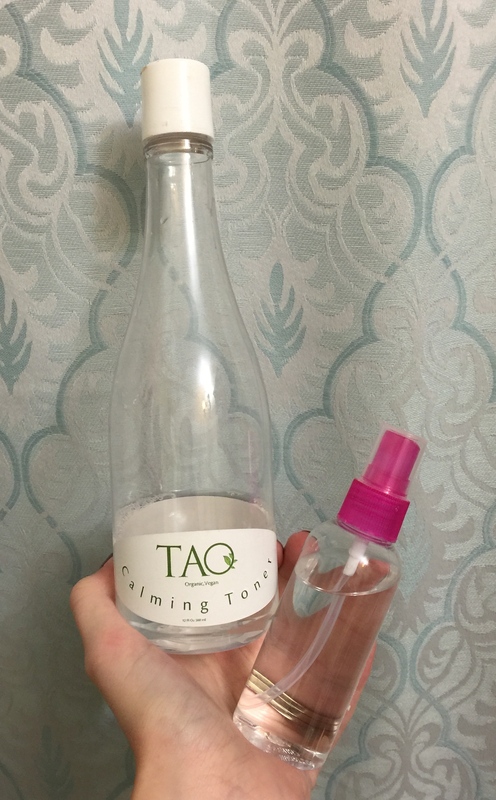 I use Tao’s Organic Calming Toner. As it says in the title, this product is calming and doesn’t irritate my sensitive skin in the very least. This product is also good for any skin type, so again, can’t go wrong with this. My preferred way to apply is to dump the product into a small spray bottle, then I spray (3-4 sprays) onto a cotton ball or esthetic wipe and run it over my face making sure I get it everywhere. Next I use a serum. I like Tao’s Hyaluronic Acid Serum. Its a little pricy for the size you get, but its very worth it. Hyaluronic acid holds more than 1,000 ml of water per gram. Thats a lot of hydration you’re putting onto your face! To apply I squirt one pump onto my finger tips, rub it together and pat it onto my face. Now I use eye cream. I hate how expensive eye creams are. I hate spending money in general (ugh), especially on something that doesn’t last long. So I have searched for eye creams that are affordable but still do a good job. I’ve found two that have met my demands. 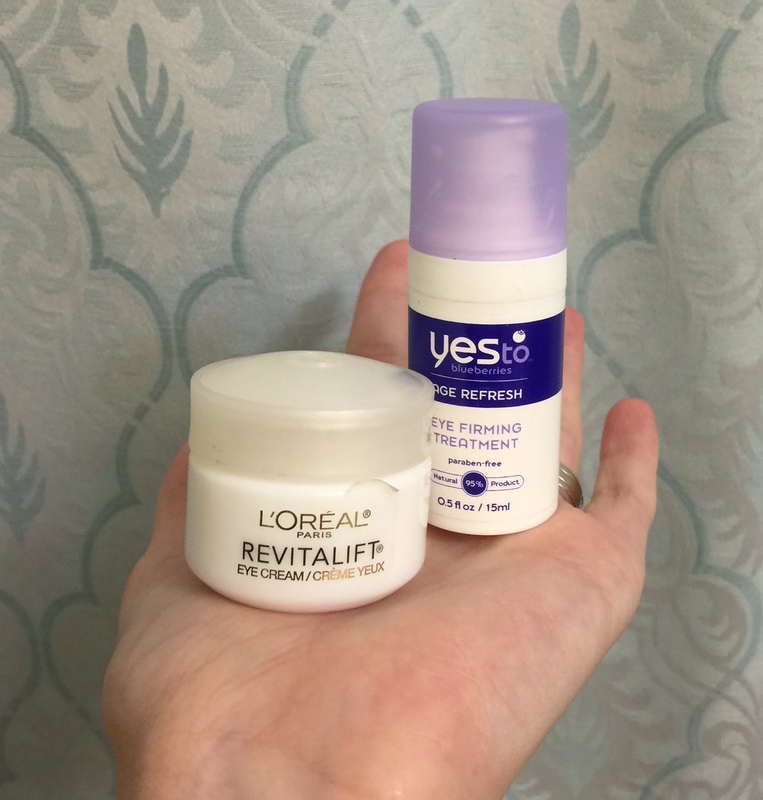 At night I use L’Oreal’s Revitalift and in the mornings I use YesTo’s Age Refresh Eye Firming Treatment in blueberry. Both are lightweight, easy to apply and keep my eyes fresh and happy. The last step is moisturizer. If its night time I use a moisturizer without SPF, if its morning, you better bet my moisturizer has SPF in it! I’m a sunscreen-aholic. I have two moisturizers I switch off using at night. Both Murad. Both are from the Age Reform Line (the grey line), the first is Skin Perfecting Lotion, the second is, Hydro-Dynamic Ultimate Moisture. Both are lightweight, easy to apply and feel very moisturizing. I can’t go to bed without a good coat of either of these on my skin. In the morning, I also have two moisturizers I switch off between. 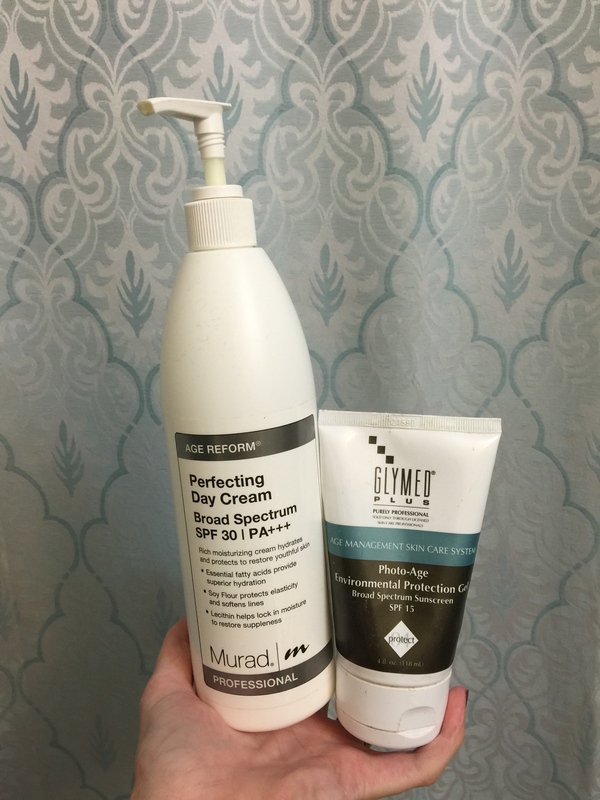 One is Murad’s, also from the Age Reform Line called Perfecting Day Cream (SPF 30), the other is from Glymed (www.glymedplus.com) (LOVE this line) and is called Photo-Age Environmental Protection Gelp (SPF 15). One time my sister in law told me this stuff smelled like Disneyland, so now I love it even more. Both of these also go on light weight and absorb quickly. Bonus step: Chapstick. 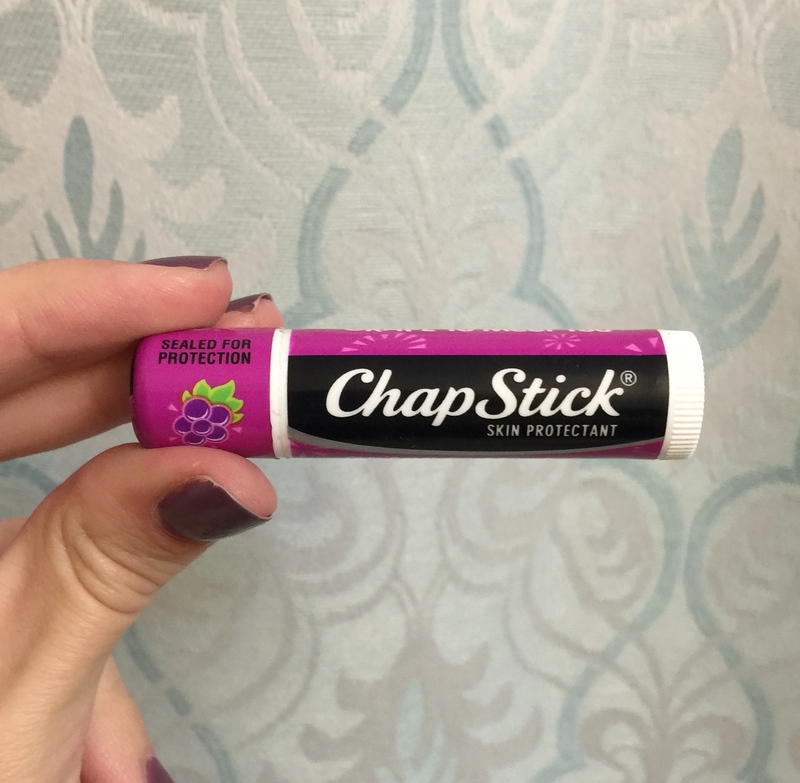 Because life is heaven with Chapstick. Extra bonus if its a yummy smell. 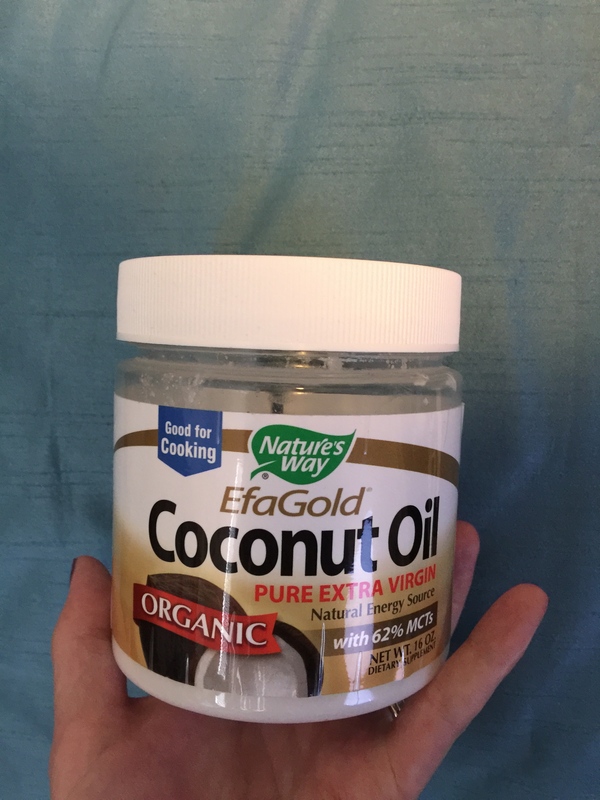 Also, in case you wondered what I use on the rest of my body (even for stretch marks), I use Coconut Oil all. the. time. La-la-loooove coconut oil. Also, I will sometimes use Cetaphil. Coconut Oil is obviously very oily, but holy cow it makes my skin feel ahhhmazing and Cetaphil is slightly oily, too, but feels good, very moisturizing and goes on/absorbs easily. I’m also convinced these products are golden because guess who has NO stretch marks? (so far…knock on wood). If you have any questions, shoot them my way! I’m always happy to talk skin care. Also I’m curious to hear how YOU care for your skin – feel free to share. < Previous The Journey Begins..
Next > Let the Fall Crafting Begin! !